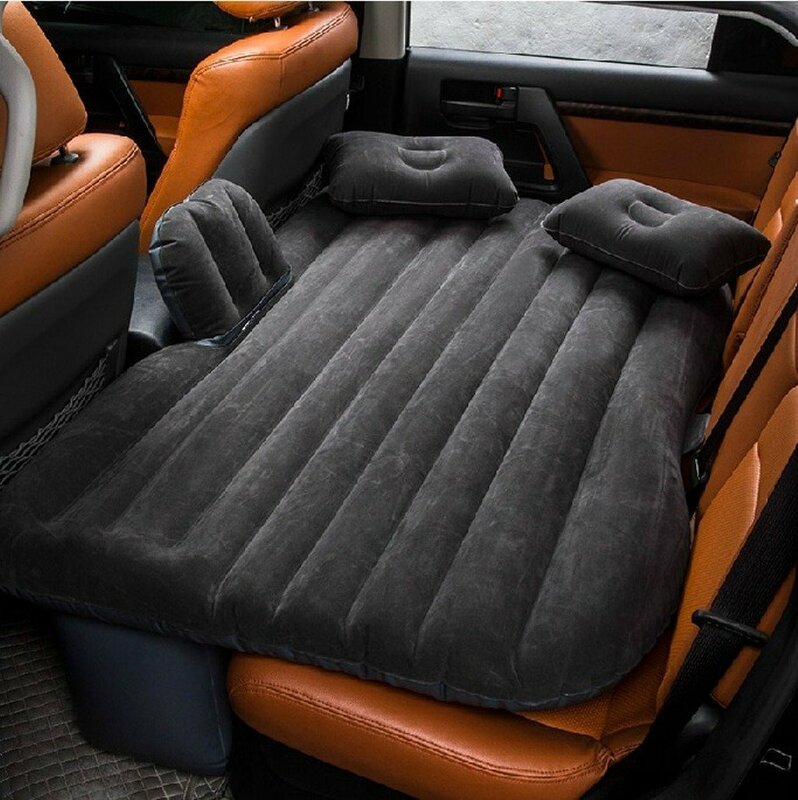 The FB Sport is an affordable, attractive entry into the car air mattress market. Starting at a mid-level price range, it is currently offered in 4 different colors. This certainly isn’t the cheapest error bad that I’ve seen, but it is a great value for the money. When buying these kinds of mattresses you gotta consider the total cost of ownership over the lifetime and the long-sighted about the whole thing. It’s always a good idea to spend a few more bucks upfront, and have a great investment that will last you for years. The FB sport comes with its own 12 V DC air pump along with car cigarette lighter adapters. It also includes two inflatable pillows, although I found that these are slightly small so I prefer to use my own travel pillows which are slightly larger. The company claims that it is a universal size mattress, which is also something that you should always be wary of. There is no true universal inflatable backseat bed, as commercial vehicles varies so much in their size and backseat room. Make sure to check in advance on the manufacturer’s website to make sure that your particular vehicle is supported. That being said, this is actually one of the larger models on my list. It works great for SUV, minivan, and crossover vehicles. If you have a small compact sedan or coupe, then this might not be the right bad for you. It measures about 54 inches across, which will fit nearly all children and about half of adults. Sadly, those who are slightly taller myself included have to curl up on this just as much as we do with the smaller beds. If you decide to order this make sure that you get the included pump. I’ve seen some cases of customers receiving the inflatable mattress without the pump. I would be furious if this happened to me, and it would be a shame for such poor customer service on the company’s behalf to ruin what is otherwise such a great product. I really love the orange color option, which incidentally my wife insists is more of a rust than an orange. Nevertheless it is quite eye-popping, and is a refreshing change from the otherwise boring grays and blues that you see from all the other competitors in this niche. The colors are all actually a little bit darker than what’s in the picture, so just be aware of that if you had your heart set on a certain shade. This mattress comes complete with the inflatable pillows that I mentioned earlier as well as the pump, a storage and travel bag, and one repair kit which I have never had to use. If this thing dies on you in the first few days, I would hope to God that you complain directly to the company rather than attempting your own repair with the kit. If any of you out there have had experience with the repair I would love to hear about it so please let me know on the contact page. InflatableCarBeds.com is a participant in the Amazon Services LLC Associates Program, an affiliate advertising program designed to provide a means for website owners to earn advertising fees by advertising and linking to amazon.com and any other website that may be affiliated with Amazon Service LLC Associates Program.